Brew of The Day: Suntervention - Snoe for Summer! Suntervention - Snoe for Summer! Yes it's APRIL and finally you can really feel that its SUMMER here in the Philippines! But last March, SNOE started to emit the summer vibe by holding the Snoe Suntervention Bloggers Convention. 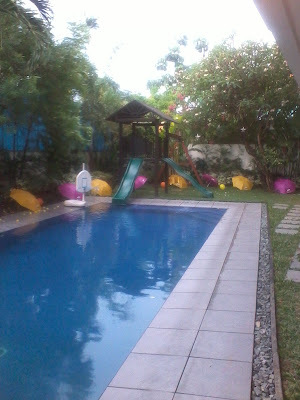 Despite the irony of it raining, the summer theme of the whole place made sure that we still had our summer fun. And oh boy did we! 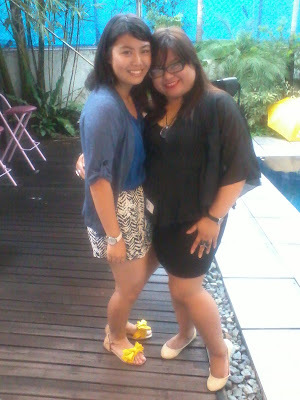 The event took place by the pool side and I really loved the decor of the place! Feeling summer talaga with all that bright colors! 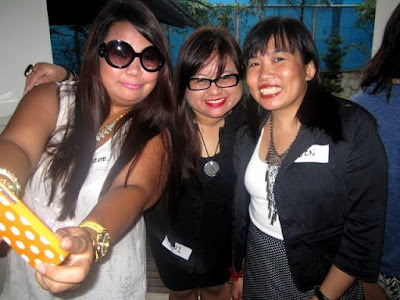 The place was buzzing with a lot of awesome bloggers. It definitely made the event a whole lot more fun hanging out with these friends. Due to some misunderstanding and lack of communication, we arrived late at the event. Such a pity though coz apparently the event started with the gals getting new lashes by Snoe. 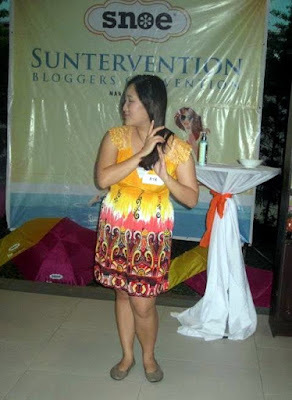 Then they had the first game where five bloggers were chosen to test out the brand new Snoe Sunblock - SUNTERVENTION: Serious Sun Protection with SPF 80++. I haven't tried it yet but I hear that the SPF works like magic! 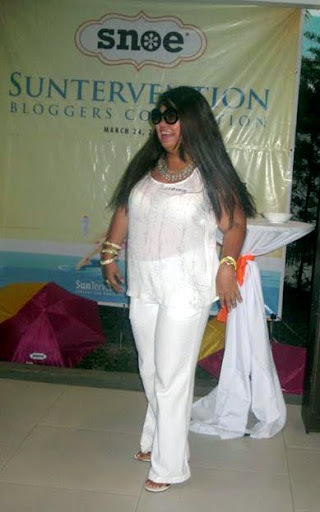 Oh and how the chosen bloggers were able to test it out? Well they tried it out by smearing it all over some good looking guys of course! 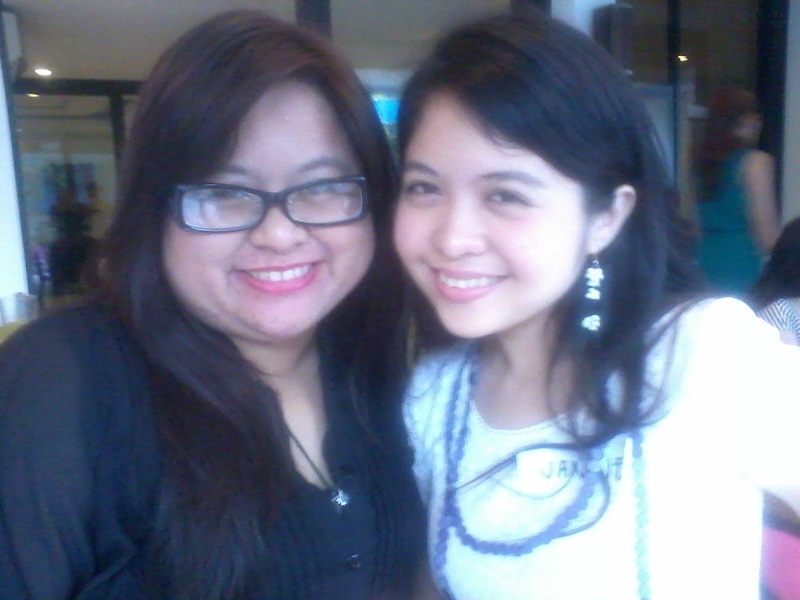 Then we (that's me, Janine, Jen, Genn, and Aya) arrived. While we were still in the process of greeting everyone, I was taken by surprise coz I found myself as one of the chosen participants for the next game. So there I was, at the edge of the other side of the pool having no clue on what was going to happen (remember we just arrived!) and the next thing I knew, a towel was handed to me and we were instructed to wait for the guys to swim towards us then dry them off with the towel. Haha in fairness, as my "first" game during the event, it was truly a winner. My epic facial expressions were thankfully weren't photographed by my too shocked friends. 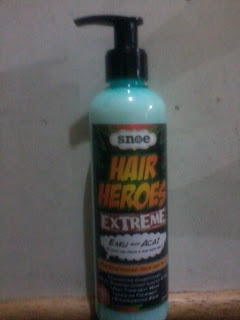 The third game featured one of the latest products by SNOE which is the brand new Hair Heroes Extreme! Three randomly chosen bloggers were asked to showcase the product by creatively demonstrating to all of us how we should apply the said product on one's hair. The vivacious Miss Genn D danced while putting it on her hair. Aya, like a dalagang Filipina, demurely put the product in her hair and flipped it for us to see. Tara shook and flipped her hair and showed all of us how curly hair can look more shiny and healthy with Hair Heroes Extreme. There can only be ONE winner and MISS GENN D's dance number is unbeatable! CONGRATS dear! She was able to get SNOE Money as a prize. MORE on that later. 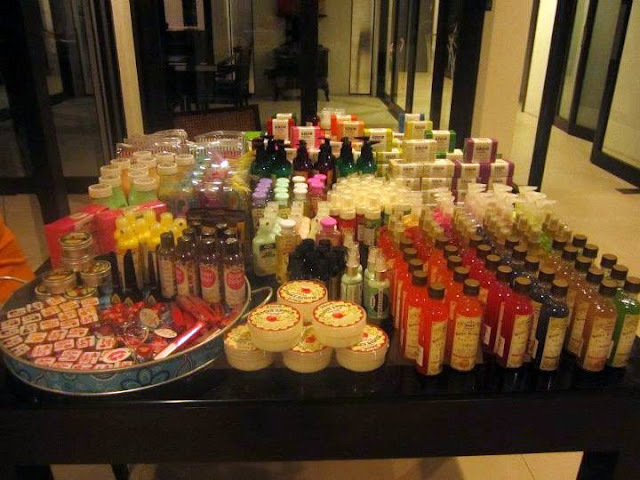 After that, Jen Gerodias-Diaz, the Founder and CEO of SNOE Beauty Inc. explained to us about the new products that Snoe will be releasing to the market. 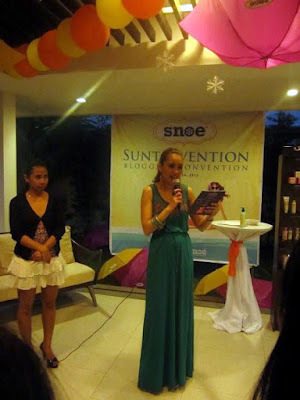 As I listened to her, I couldn't help but be very much impressed with this fierce and passionate woman who made her dream and passion to a reality with the Snoe products. She is really hands on with all the ideas, products, and even branding of SNOE. And hearing that really is impressive because Snoe is indeed rising up as one of our very own Philippine-made products that is making a statement in the Asian market today. 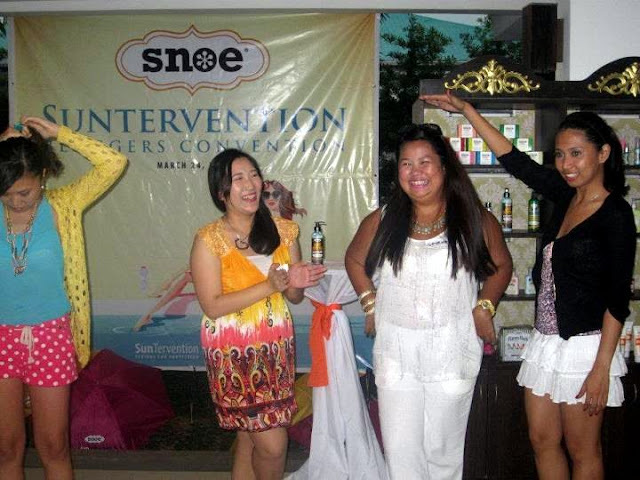 Indeed Snoe has a lot in store for us here in the Philippines and even in Asia! And we were privileged to try it all out with the "Snoe Money" that we got when we arrived there. We didn't get the same amount each (bubunutin mo kasi!) but I was extra happy coz at the raffle, I was one of the few who got an extra 300 Snoe Money which we could use to buy the Snoe Products that we wanted to "try" out. It really took a while coz I wanted a lot! There were too many awesome items to choose from. I had a total of 800 worth of Snoe Money. 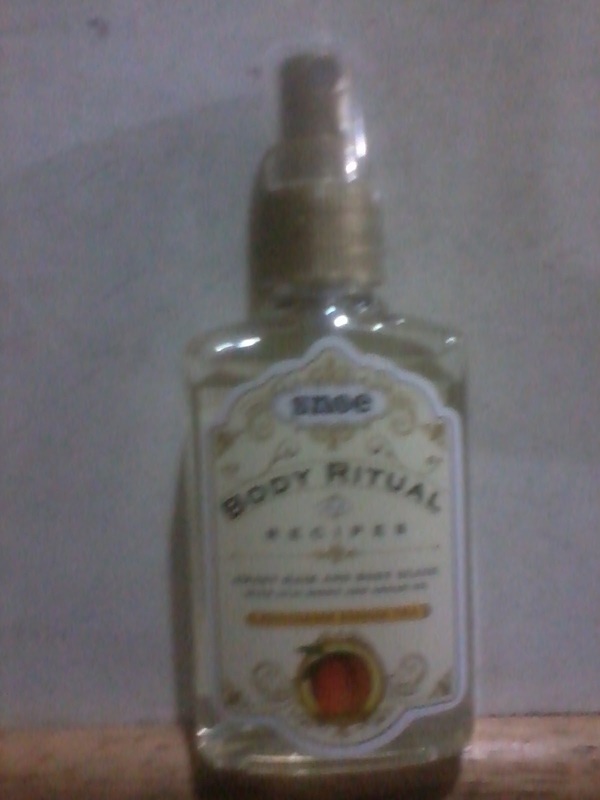 And this is what I got! I ended up getting a lil bit more than 800 so I paid the rest of the balance in cash. 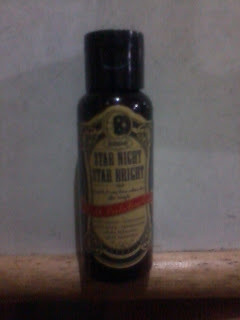 It was all worth it coz I really wanted to try out these amazing Philippine made products that are truly worth sharing to others! 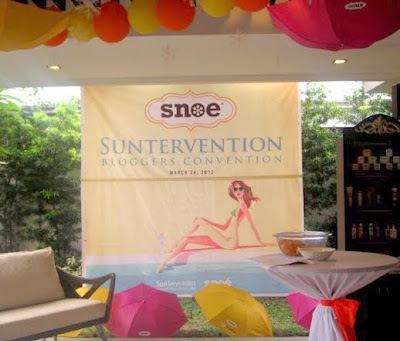 We also got a chance to try out the Suntervention Sunblock ourselves thanks to Snoe. Now I can be super confident of not becoming anymore darker than I want to with the Snoe Suntervention. 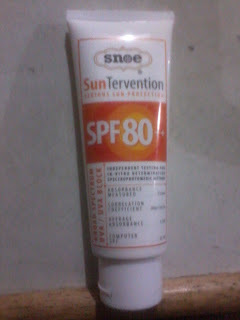 SPF 80 oh yeah! Truly had a fun event! 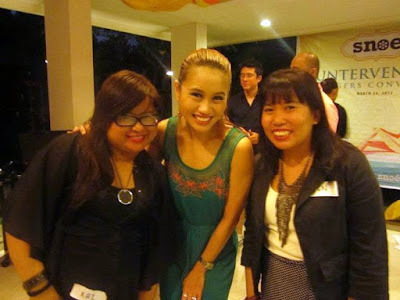 Thank you Snoe and Miss Jen Diaz for inviting us! Hey Coffeeholics, don't forget to check out Snoe Facebook Page and the Snoe Website for more news, updates, and promos! Converse Asia Crown: Ready, Skate, Go!